Hans likes to think he knows who's gonna win this contest, and to that, I say "Whateva." Technically, it doesn't matter who wins what. We have three categories of prizes and only three teams. I can't deny that I'm a tad competitive and have my own opinions about which creation is the best (of course, I'm biased). 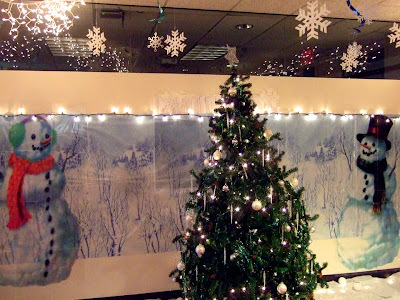 But in all honesty, what I mostly enjoy is how our office always embraces the spirit of the holidays and transforms our otherwise drab accommodations into something creatively enchanting and beautiful. I Want to be a Rock Star!